Vegetation is a key part of the environment for all animals. Traditional fenland plant communities are struggling, however, to survive land drainage, land use changes and modern farming practices. Deeper winter flooding and a greater summer draw-down of water level were both characteristic of the ancient Fens. Today, the water management of rivers, lodes and ditches and the abstraction of ground water has led to the loss of that natural annual cycle of changing water levels and flows. This has had a disastrous effect on a huge number of species which struggle to cling on in isolated pockets. The aim of Kingfishers Bridge is to create environments which will support the full array of past fenland ecosystems by recreating an approximation to these natural cycles. 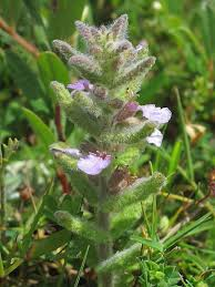 ​The Water Germander is a very rare plant that had been declining in its range and population in Britain. It was long known to be hanging on at Kingfishers Bridge, in the Upware North Pit, in the 1990s, where it was down to just 12 plants; there were even fewer at it's only other UK site in Devon. However, at Kingfishers Bridge this decline has been reversed and numbers are rising rapidly. We gained permission to run a targeted Species Recovery Programme that has led to the population rising to over 5,000,000! The success of this scheme is primarily down to our naturalistic control of water levels. Reproducing very largely vegetatively, it likes the area between the winter and summer water levels, thriving below water, over winter, and in damp but drier conditions in summer. Although it produces viable seed it appears to spread through bits of the plant (known as stolons) breaking off and floating to the shallow water edges of pools where it takes root. If the water is clear it is happy spending the winter 30cm below the surface. Based on the success here of the Water Germander, we are now involved in the Species Recovery Programmes for both Fen Ragwort and Fen Violet, both close to extinction in the UK, and in the case of the Fen Violet, internationally. With both of these species water levels and water chemistry are key to success and we hope to build on our knowledge and provide another vital population for these species in the Fens. Southern Marsh Orchids have colonised a few areas of damp alkaline soil and Saw Sedge is now established on the edge of the reedbed. Fen Ragwort and Cambridge Milk-Parsley are present in the fen, careful management is helping them to become better established. The Common Reed is found in all the wetland habitats at Kingfishers Bridge and is the keystone plant species of the fenland ecosystem. The fertility and depth of peat in fenland largely derives from the growth of this species in prehistory. Its distribution at Kingfishers Bridge and its physical structure to a large degree dictates the type of habitat that it will provide. Common Reed will grow in water up to a metre deep. It grows as a fringe to parts of the mere and ditches as well as dominating the reed beds. Species such as Bittern require wet reedbeds for feeding and nesting. The main reed bed was initially established using seed, which was pre-treated to aid germination, then carefully sown into prepared areas. This technique worked well, although equally effective was to broadcast the seed onto the surface of the water and allow it to float to the muddy margins where it also germinated quite happily. Animal species using the reeds are Reed and Sedge Warblers, Reed Buntings and Harvest Mice. The Reed Leopard moth is one scarce fenland species that breeds in the reed stalks. It is now commonly captured here in moth traps. A mix of rushes ( Juncus species) helps to give structure to the wet meadows and scrapes where Common Reed is less able to compete. The range of grazing and mowing techniques employed at Kingfishers Bridge has a diverse effect on the rushes leading to a patchwork sward of tall dense tussocks and open 'lawns' providing shelter for other wetland plants and animals alike. Many species of national importance are being discovered every year, many having found their own way into the reserve. 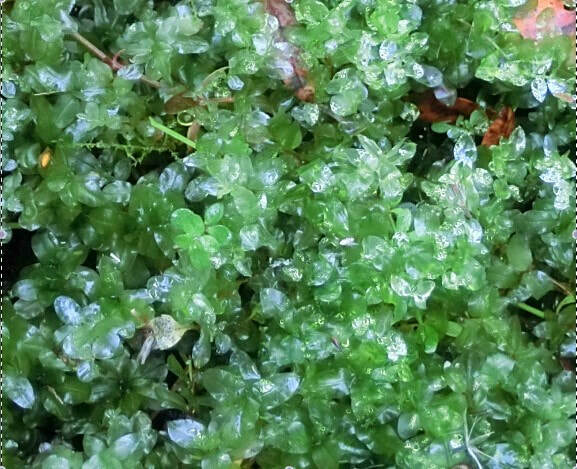 The Opposite Leaved Pondweed and the moss, Plagiomnium ellipticum, are both rare in Britain and may only be here because of the pure unpolluted nature our high quality calcareous water supply. Whist primarily a wetland creation project the Jurassic geology of Kingfishers Bridge lends itself perfectly to peripheral limestone grasslands and banks. By removing much of the topsoil and either mixing it with the lime or leaving the limestone bare we have encouraged the formation of some truly exceptional calcicole swards. On the limestone grassland Venus's-looking-glass is an annual which likes disturbed calcareous (alkaline) soils. Decreasing nationally, it is regularly found at Kingfishers Bridge amongst the sparse vegetation on the limestone. Seeded alkaline wildflower meadows are spreading across the highest areas of the site and provide a stunning display of blooms and invertebrates right through the summer. The hay cut from this, as part of our sward management, can then be used to feed our livestock if needed through the harshest part of the winter.